Escape to a world of indulgence with our short list of the most rejuvenating spas. Here, our selection of the best spas to serve as your private oasis. The Gyoki priests of the 8th century first established the healing properties of the waters surrounding the Yamashiro region, the location of this ultra-modern onsen. The waters in particular are famed for their ability to help beautify skin, improve blood circulation, and relieve nerve pain and rheumatism. The decadent spa stars the French skincare company’s products, which harness the restorative benefits of grape and grapevine polyphenols and wine from the company’s Bordeaux vineyard. The high-tech, lab-white spa is known for viviscience, a proprietary process based on the principles of naturopathy that targets various causes of aging. 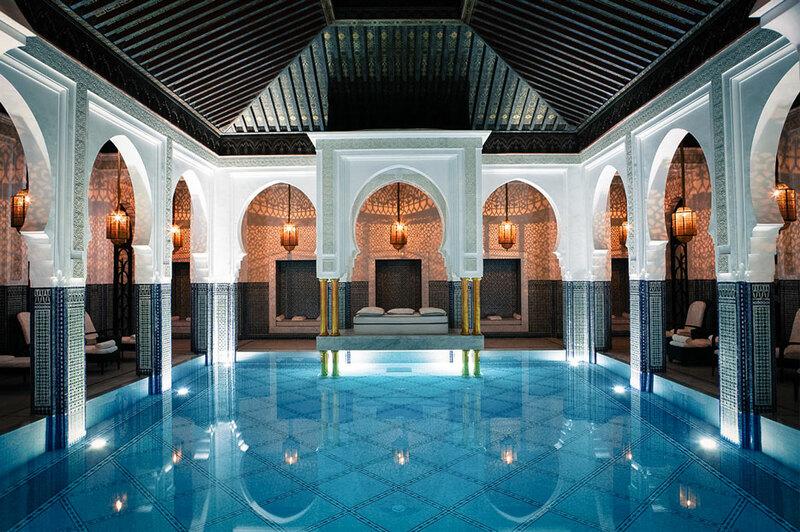 Known as the best spa in Marrakech, this 27,000-square-foot space fuses the traditional with the modern and offers more than 80 treatments. Designed like a jewel box, the seven-treatment room spa by La Prairie uses the Swiss brand’s range of anti-aging skincare essentials. At the holistic Sedona retreat—boasting stunning canyon views and the signature Journey Spa treatment—a personalized two-hour session starts with a consultation, followed by the appropriate treatments for each client’s beauty and wellness goals. This sensorial oasis centers around the tradition of Phyto-Aromatic Treatments, which relates to Sisley’s commitment to the use of essential oils and plant products to create highly effective and quality cosmetics. The luxury resort offers cathartic outdoor fitness excursions, followed by soothing spa treatments in Chile’s mystical Atacama desert. This Japanese sanctuary offers relaxing massage treatments chased with indulgent tea rituals. See and be seen at our Violet-approved hotel pools.